"Curve Editor" and where is the actual editor? Where are the operations of copying, pasting? RL himself got confused in terms of: "Motion Root", "Actor Root", "Character's Pivot and Motion Root" (and why this is missing from the dog and cat props??? ), made a number of menus: "Align Actor Motion", "Aligning to Actor Orientation", "Reset Motion Root", "Reset Motion Root Rotation". 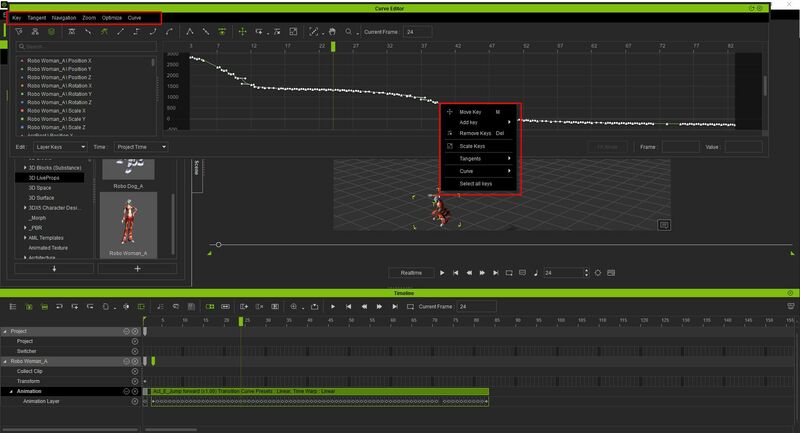 A lot of articles in the documentation: "Aligning Motions and Actor Orientation", "Align Actor Motion", "Connective Motions without Back to Origin", "Reset Motion Pivot", "Resetting Motion Root", "Synchronizing Pivot and Motion Root". All this does not work when working in Time Line. When we edit motion. And we are not allowed to correct their omissions. Why is it not possible to copy the curve from "d\Position Y" to "c\Position Y"? How to copy the curve from "d\Position Y" to "c\Position Y"? Where, and what, are "d\Position Y" and "c\Position Y"? Unfortunately Dogged your post is a little difficult to understand. Please can you explain the problems you are having in a bit more detail, perhaps giving an example of your workflow leading up to the issue occurring. Thanks. Choose a curve - there is. Cut and paste - no. Let's go small steps to the best product. I want to be able to cut out a curve and paste. At least within the same object. Why is aligning the movement so difficult? Why in the curve editor, there is no menu like in the Time Line: to equalize the beginning of the curve at the end of the curve from the previous movement? I chose the curve, clicked with the right mouse button, and should be able to transfer the whole curve relative to the previous position of the actor / object through the menu item. It's not a mistake. This is not a revision. For your reaction, do I have to post all this in the Feedback Tracker? If you have any requested improvements to the Curve Editor, or you want to report non-critical issues, then please do submit these in the Feedback Tracker. If you believe you have a critical issue that is preventing you using the Curve Editor correctly, please contact Technical Support.